What makes this soup extra special (besides the creamy, dairy-free deliciousness) is the roasted chickpeas. 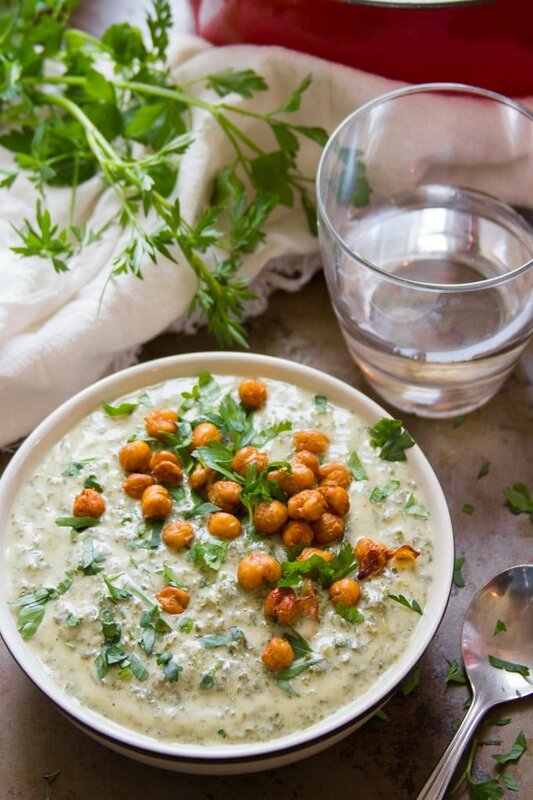 They’re totally optional, but who doesn’t love a topping with a little flavor and crunch on their soup" Just toss the chickpeas with some olive oil, cayenne pepper and salt. If you prefer a heat-free version, skip the cayenne pepper. Arrange the chickpeas on a baking sheet and bake until crispy.